It was a cold wintery day, having just snowed the day before. Most people stayed home and those who were out like us, were wrapped up like dumplings. Yes, we had to meet this specific day. No postponing or whatsoever. Firstly, we had to hear all the juicy details about the proposal from our newly engaged girly. Secondly, another friend of ours was leaving for good the next day. See, all the reasons to be out on such a cold day. 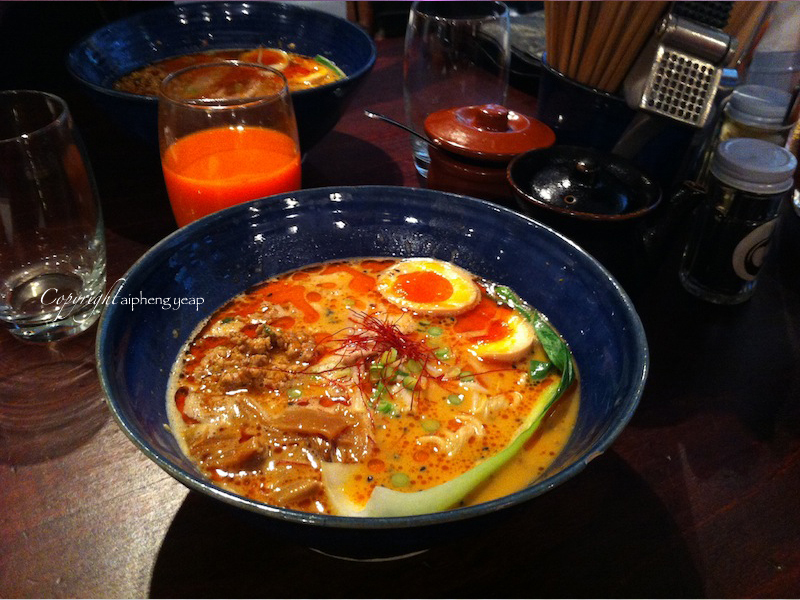 Since we were in Soho, what better place is there for hot soupy ramen! We headed straight to Bone Daddies and were so lucky there was no queue. It was probably cause we were there before the busy late Saturday lunch time. 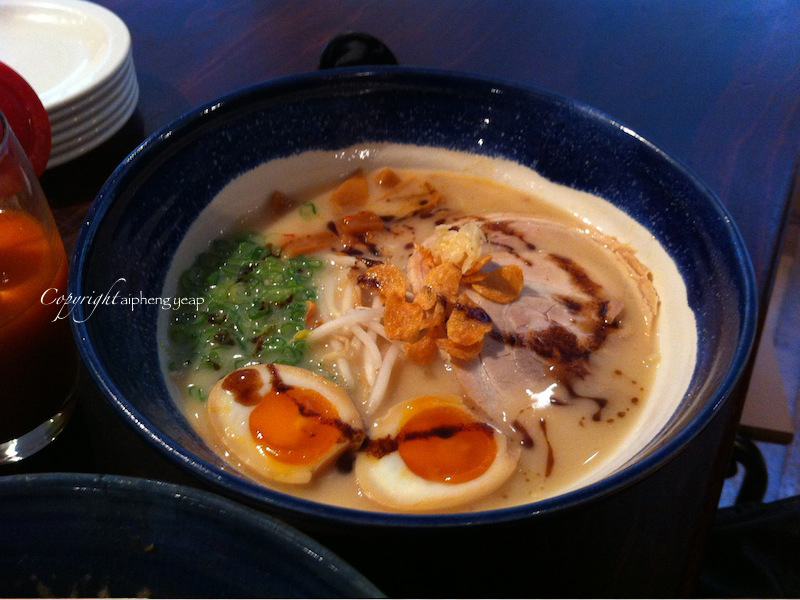 The ramen had thick flavoursome broth, very rich and sweet. They came with perfectly cooked eggs which were slightly runny and pork slices that melt in the mouth. By the time we were finishing our meal, the queue was already piling up, with people staring at us, hoping we would gobble up our two slurps full of deliciously hot soupy ramen so they get to do the same. Well flavoured ramen and very comforting like a warm bear hug during winter. The big bowl of ramen is enough to keep you filled up for the whole day. It is eat and leave type of place and not suitable to linger a little longer for dessert once the ramen digests. Definitely, especially during such cold weather.